CCSM has been called by the Lord to be a training center whose primary objective is to equip the next generation of leaders and workers for the coming harvest and much anticipated revival that will sweep the country and nations of the world. The Ministry of Preparation consists of two tracks. It is for those called to full-time vocational ministry and who know they need additional preparation, as well as for those currently functioning in such a ministry, but desire an infusion of fresh insight and revelation. By enrolling in CCSM, you are asking to be raised up as one of God’s workers. There is no higher calling, nothing more challenging to do with your life, and nothing else more long-lasting and life-changing. 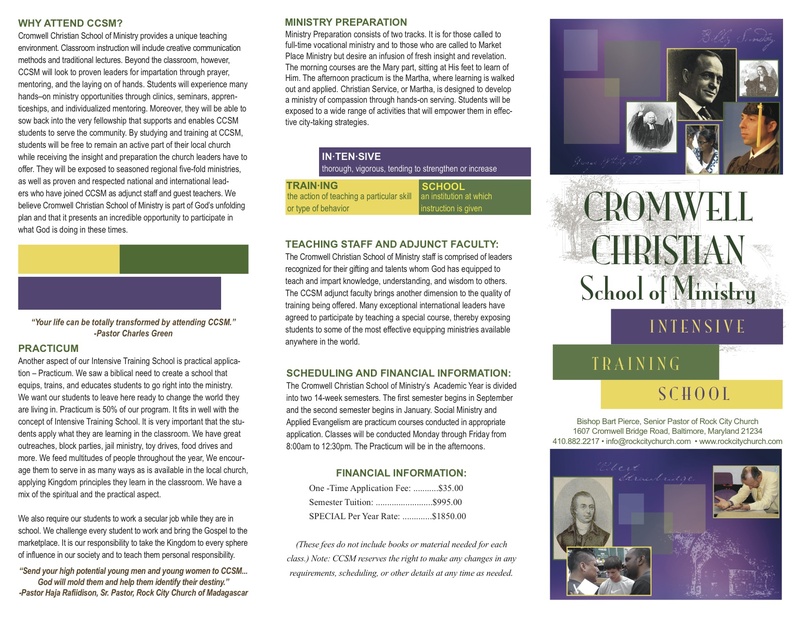 Cromwell Christian School of Ministry has been called by the Lord to be a training center based in the Metropolitan Baltimore area. It is time for revival, so we must be ready. We firmly believe in the need to equip the body of Christ. We embrace the Great Commission of Matthew given to us by Jesus, Himself – teach and preach the word, teach obedience to the word, and make disciples of all men. By enrolling in CCSM, you are asking to be raised up as one of God’s workers. There is no higher calling, nothing more challenging to do with your life, and nothing more long lasting and life changing. The work before us is great. The harvest is ready. Together we can make a difference for the Kingdom of God. If you know you are called to be one who fulfills the Great Commission, become a part of Cromwell Christian School of Ministry. 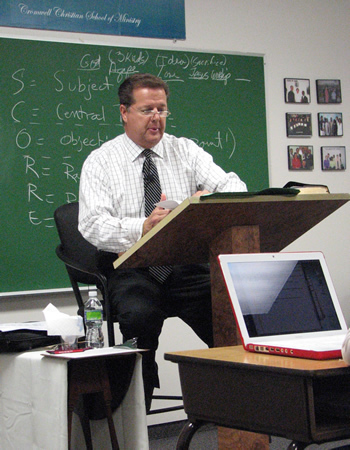 Throughout the course of the year, the Bible school students serve in various ministries of Compassion and other outreach ministries. From Inner city Block Parties to serving at the Greenhouse which benefits our girls’ home, students are encouraged to “put their hands to the plow” and fully engaged in the work of the ministry. The practical application of serving in diverse ministries is referred to as Practicum. Practicum hours can be obtained by serving at any of the ministries of Compassion which are: The Hiding Place, Nehemiah House, Adopt-A-Block, CCMAD Warehouse, Station North Thrift Store and Christian Youth Athletics. Second year students are encouraged to lead Bible studies at the Nehemiah House or Hiding Place and also serve in-House, in ministries like exhorting, greeting or serving at the Altar. Students also reach out to the inner city as they engage in activities such as the Martin Luther King Parade, Harvest Festival with local kids and ministering through drama in the jail.